First up, let's peek at some Fall Fashion Inspo. The first is via Blair Eadie of Atlantic-Pacific. I've been following her blog for a long time, and her photos and outfits are always so amazing. This ruffled Marisa Webb skirt might be a bit much for my everyday life, but it goes to show how perfect olive green looks with black and white stripes. It's definitely not the first time I've seen this combo for Fall 2017, so I'm guessing it'll be a big trend this season. If the skirt is a bit much for you as well, try a black and white striped top with an olive pencil skirt or trousers, and of course some chic black pumps. 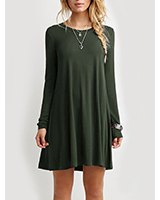 For a casual version, go with some olive skinnies and tall black boots! Another fall fashion pick that caught my eye this week is by Auggie Lamb. This Coffee Before Talkie tank is so cute. I tend to gravitate towards tank tops during fall just as much as during summer, because they're perfect for layering. I love how this one looks with that shirt layered over it. A black moto jacket or olive utility jacket would look perfect with it as well. If you need a little Fall Food Inspo, I've got plenty of cozy recipes here on the blog. 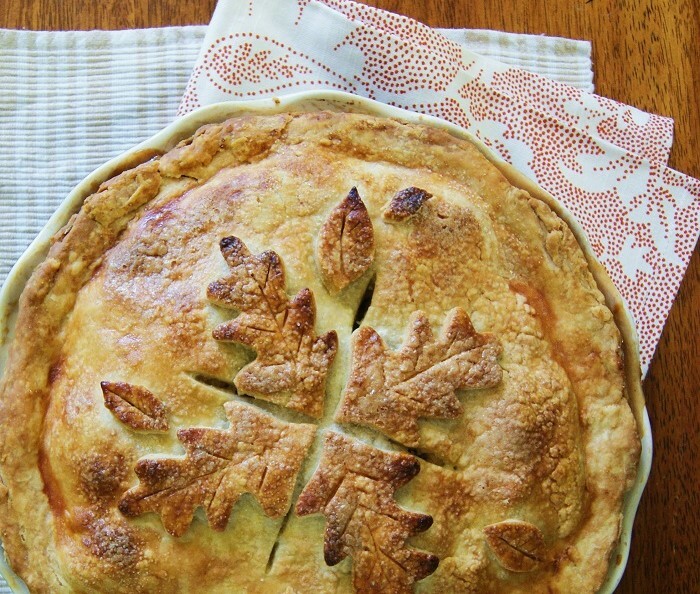 One of my all-time favorites is this beautiful caramel apple pie with a fall-leaf crust. Though the number one viewed fall recipe on Krisztna Clifton Living is this post on Easy Pumpkin-Spice Pancakes. 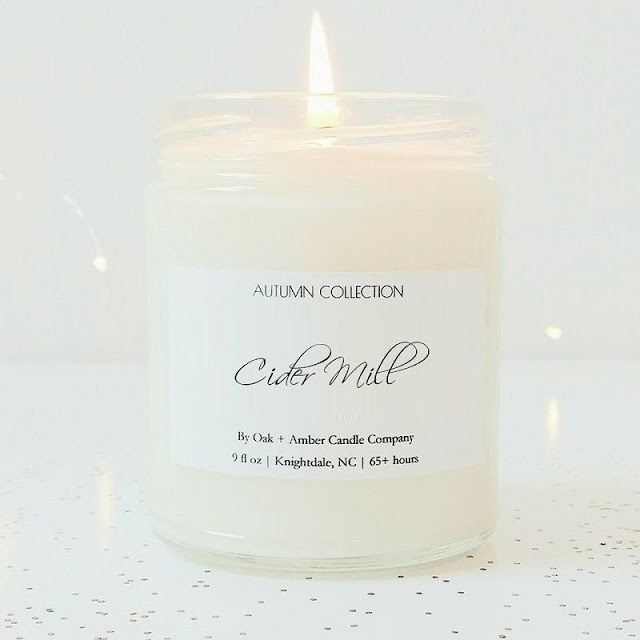 I don't tend to use candles all year long, but during the fall and the holidays, it's a must. 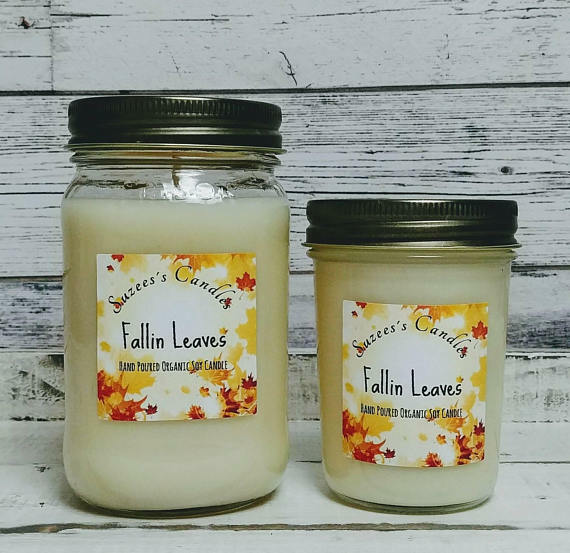 This super cute Fallin' Leaves candle is by Suzee's Candles. You guys, this 16oz candle (the one on the left) burns for 90+ hours! 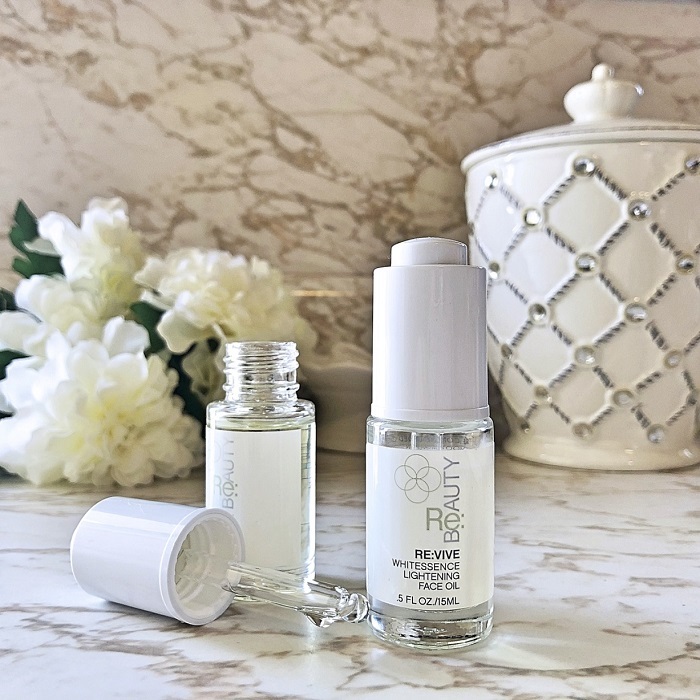 And yes, we are totally gearing up for Fall, but if you want to stock up on a few other scents, this shop is currently offering 30% off all summer scents, like this pretty Lemon Verbena. Anyone who knows me knows that this mug by Jonley Gifts is pretty much perfect for my Fall mug. I do have a bit of a potty mouth, and I like to be silly. 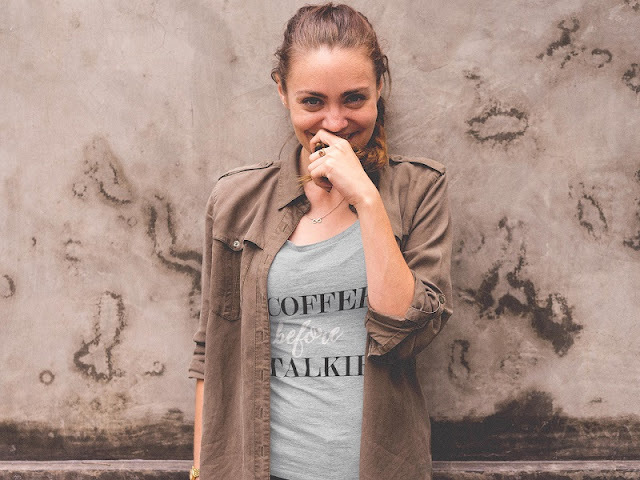 This design comes in a standard mug, a latte mug, as well as the travel mug pictured here. Jonely Gifts has so many cute and funny designs, like this "For fox sake is it fall yet" mug. And if you want to create something with a custom design, check out their Design Lab! 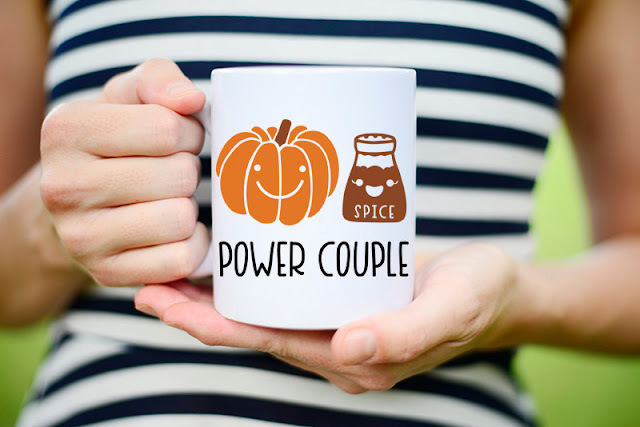 For the ultimate pumpkin spice mug this year, might I suggest the Pumpkin Spice Power Couple! How cute is this mug?🙂 You can purchase it at Mugsby, along with so many other holiday and gift items. 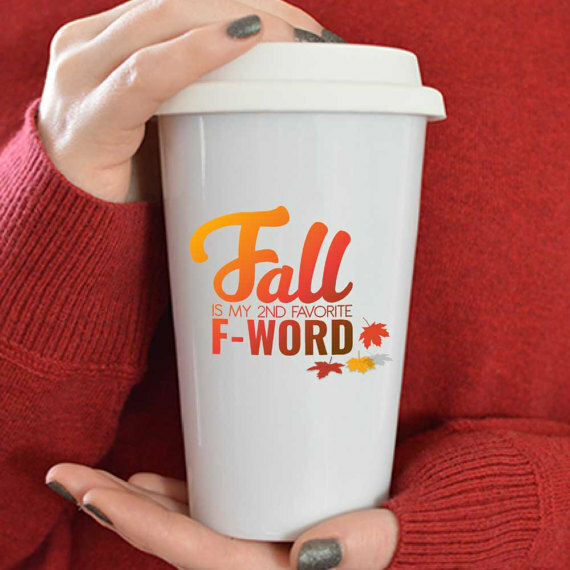 The pumpkin spice mug comes as pictured above or as a mug set. Come next month, I'll be very excited for their Halloween mugs! 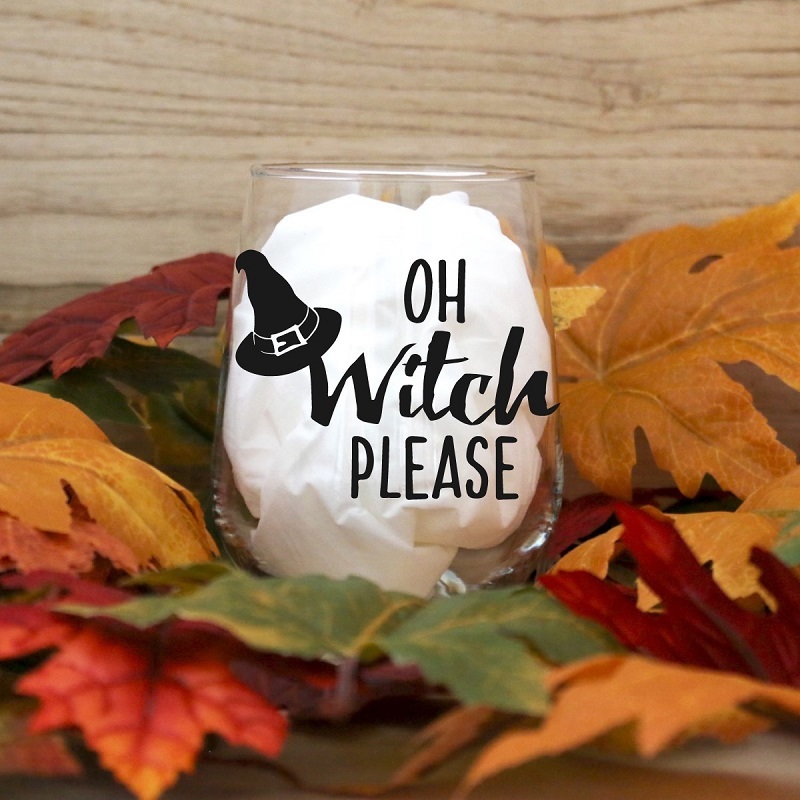 You can see all of their autumn and Halloween mugs here >. Which items are you most excited about for Fall? Let me know in the comments below! I love the first picture. What a gorgeous skirt! Thank you so much for sharing! 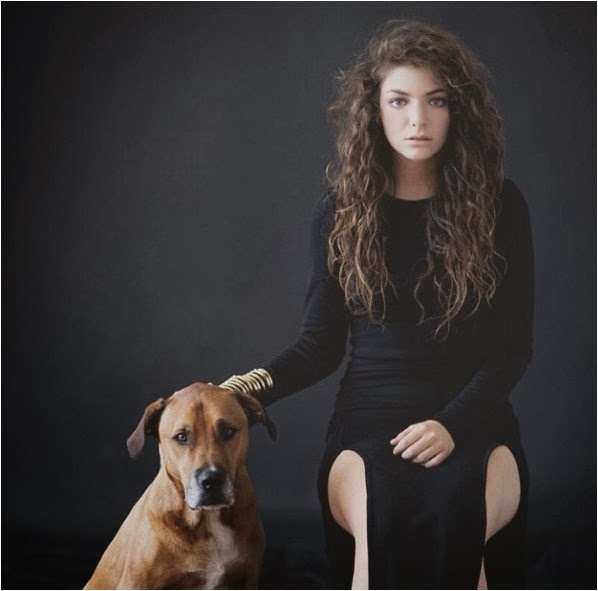 I love the first look! Have a nice weekend! I was totally swooning over Atlantic Pacific's post too! That skirt is so gorgeous! I love Blair too! That outfit is so good. I am also a fall lover and so ready! That skirt on the top is just so stunning! Definitely! I really love the stripes with the olive green. Love the first look! So chic! Love your picks! The pic of Blair and her skirt is just to die! What a nice fall inspiration! Love your olive green skirt and that shot in the Brooklyn bridge, how did you get that shot without people? I like the recipe too, I think my family would love it. I am not ready for fall yet! Trying to hold onto summer for as long as I can. Lol. Love that olive green skirt! I am loving the first look, your skirt is to die for! Fall is definitely my favorite season. I love everything about it, the weather, the fashion, the holidays and food, just everything! If only we could end winter when New Years ends and jump straight into spring, I'd be one happy camper, lol. Anyway, I love those leather earrings and scarves are one of my favorite essentials for fall as well. Thanks for sharing, gorgeous, and I hope you're having a great holiday weekend so far!